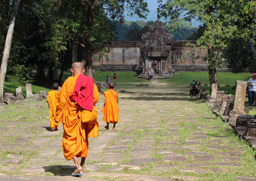 The 7 days Cambodia tour will help you to get closer to the lives of Cambodians with many interesting activities. 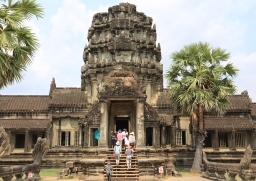 Extending three days to discover Angkor complex to Phnom Penh, Udong, Battambang: contemplating the temples and museums, taking a trip boat in the floating village of Kompong Luong, trying the Bamboo train and exploring the local life in Battambang. 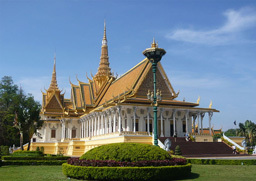 Upon arrival at Phnom Penh International Airport, pick up then transfer to the hotel for check in & take a relax. 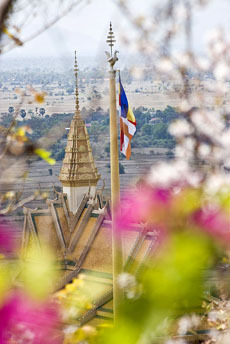 Take a cyclo tour to visit the Royal Palace, Silver Pagoda, National Museum and Russian Market. Overnight at the hotel in Phnom Penh. After breakfast, drive towards Kompong Chhnang through the fertile rice fields of the western cambodia, known as the granary of the country. En route, visit the ancient capital city of oudong and visit the pottery villages around kompong chhnang, located at the confluence of tonle sap lake and tonle sap river. In the afternoon, take a boat trip to the floating village of kompong Luong. Most of the village is made of stilt houses. 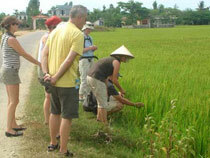 Then drive to Battambang pasing the vast rice fields of western Cambodia. Overnight in Battambang. After breakfast, visit the traditional house at Phum Wat Kor then drive along the sanker river through the charming country side until Wat Ek Phnom temple (11th century). 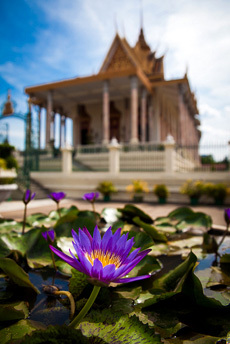 On the way back, visit Wat Slaket Pagoda, and Prahok market (prahok is the cambodian fermented fish paste). In the afternoon, experience a 2-hour sightseeing tour aboard a bamboo train, the old means of transportation. 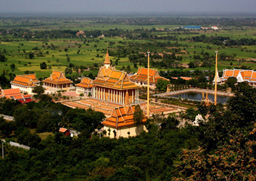 Enjoy the beautiful village landscapes, rice fields and then return to battambang to visit the provincial museum and stroll through the town center with your guide and admire its colonial architecture and chinese shop-houses and colorful temples. Overnight at the hotel in Battambang. After breakfast, drive 120 km towards the northwestern province of Banteay Meanchey to visit the ancient temple of Banteay Chhmar, dating from the late 12th to the early 13th century. 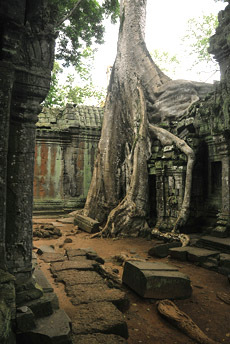 It is thought to have been built by Jayarvarman II and was later rebuilt by Jayarvarman VII as a funerary temple for his sons and four generals who had been killed in a battle repelling a cham invasion in 1177. In the afternoon, take a tour around the village to discover the daily life of khmer people, and pass through some beautiful rice paddies before continuing the road to Siem Reap. Stop on the way to visit Banteay Top, another wonderful and remote ancient temple and close to Siem Reap, you will reach the village of Puok, home to the artisans d'angkor silk farm established to revive the cambodia's beautiful silk production. Arriving Siem Reap in the late afternoon. Ovenright at the hotel in Siem Reap. Breakfast at the hotel, today starts with visiting the famous old palace Angkor Thom start from South Gate, famous Bayon, Baphoun,Terrace of Elephant, Phimean Akas, Terrace of Leper King. Have lunch at the local restaurant. 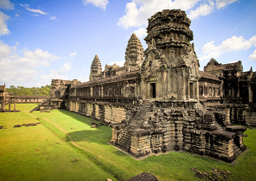 In the afternoon, you will transfer to visit World Wonder 'Angkor Wat temple" and enjoy sunset view from a top of Bakheng Hill. Back to the hotel. Dinner at the restaurant and enjoy the specific traditional Khmer dance. Overnight stay in Siem Reap.